This article is cont­ributed by Leafly, the world’s largest cannabis information resource. For more information please visit Leafly. 2016 is a year that will live in infamy, but one clear winner across the board was cannabis. The United States watched as eight more states legalized cannabis for medical or recreational purposes, and the ripple effect of legalization has been felt throughout the globe. Revel in these states' and countries' cannabis victories and look to the future with renewed optimism. What will 2017 bring? We can't wait to find out! The fight for medical marijuana in Arkansas was far from a done deal, with two competing campaigns fighting for the top spot as the preferred initiative. The campaigns were headed by friends-turned-foes who had previously worked together on a 2012 push for MMJ. Both initiatives earned a spot on the ballot, but a lawsuit from Little Rock attorney and, also, curiously, a member of NORML's legal team, Kara Benca, eventually disqualified Issue 7 on a signature technicality. With just Issue 6 left standing, it seemed a long shot for a Bible Belt state to legalize cannabis for medicinal use, but voters came through on election night with 53.2% in favor. Although opposed to cannabis legalization, Governor Asa Hutchinson made good on his promise to respect the wishes of his constituents and has already begun the implementation process, officially making Arkansas the first Bible Belt state to legalize medical marijuana. If that ain't progress, I don't know what is! California has always been a pioneer state for cannabis, legalizing the use of marijuana for medicinal purposes in 1996, at a time when the words of Nancy Reagan's "Just Say No" campaign still resonated through the proverbial country. 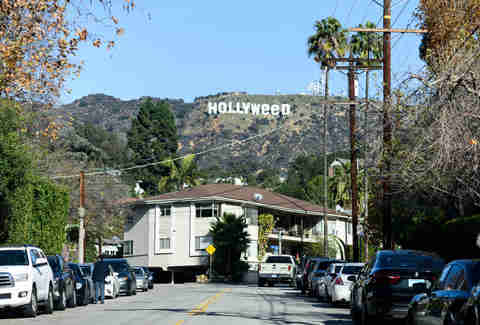 Since then, California's cannabis scene has lagged behind while Colorado and Washington led the charge towards the future with full cannabis legalization at a state level. Well, no longer! California has officially entered a new era with the passage of Proposition 64, albeit with a few growing pains, as the state turns from under-regulated medical marijuana dispensaries to a strictly controlled legal market. It's a no-brainer that California would legalize cannabis, but the state's in for a long, winding road before full legal implementation goes into effect. No doubt, there will be a few naysayers along the way, but come 2018, California's future will be so bright, you'll have to wear shades. 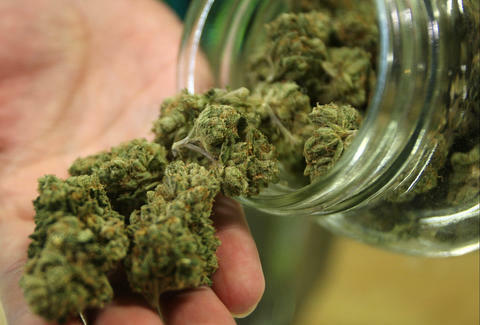 Florida has battled time and again to legalize cannabis for medicinal use. Governor Rick Scott signed Senate Bill 1030 into law to allow the use of low-THC cannabis oil for certain qualifying patients, but during the 2014 general election, Amendment 2, which would have expanded the medical cannabis program to include more options and more qualifying conditions, failed by the slimmest of margins -- it was just 2% shy of the 60% needed to pass a state constitutional amendment. Not to be dissuaded, Florida cannabis advocates were even more determined this time around, taking hard lessons to heart and making a concerted effort to champion their cause, to raucous success. Florida was the first state to officially pass its cannabis initiative on election night, with flying colors, no less. With 71.3% of the vote, Florida's MMJ amendment passed with the highest percentage in favor of any cannabis initiative on the ballot. Maine's legalization success almost didn't happen. The legalization proponents faced multiple setbacks, first when there were two competing groups vying for a spot on the ballot -- one initiative proposed by a large national group backed by the Marijuana Policy Project, and a second initiative proposed by a smaller, locally based group. When the two groups finally agreed to compromise on a single initiative, they were nearly disqualified from the ballot when more than 21,000 signatures were thrown out by Maine Secretary of State Matthew Dunlap after a discrepancy in one notary's signatures. Luckily, the Pine Tree State advocates refused to give up and, after a long legal battle, 11,305 signatures were revalidated, just barely earning enough signatures to win a spot on the ballot. When Election Day finally came, the initiative won by just 4,000 votes, causing anti-marijuana prohibitionists to call for a recount to the tune of $500,000 from the taxpayers. The recount began, but with proponents still in the lead by the time counters called it quits for the holidays, Maine's legalization opponents finally admitted defeat. You've come a long way, baby, but you made it! Massachusetts' legalization campaign was the one we were all betting against. After an excruciatingly long struggle to implement a struggling medical marijuana program, as well as a fully funded opposition campaign headed up by the governor, the mayor of Boston, and the Massachusetts attorney general, the initiative seemed like a gamble at best. Massachusetts has long had widespread support for legalization in addition to medical marijuana, but support from the public does not necessarily translate into policy change -- just look at New York's struggling medical program. Massachusetts voters had something to say about it come Election Day, however, and put their money where their mouths were -- and right into the ballot box. In spite of the fierce opposition, Question 4 passed with 53.4% of voters in favor of joining Maine as the first East Coast states with full retail cannabis legalization. Even so, the fight's not over yet -- officials may delay implementation and push back the timeline. Montana's cannabis victory may not seem groundbreaking, but it's arguably the most crucial cannabis victory of 2016. It held the distinction of having a booming medical marijuana program with over 13,000 qualified patients across the state, but an outdated 2011 law nearly dismantled the entire system overnight. Medical marijuana was legalized in the state in 2004, but prohibitionists pushed for a law in 2011 that created tough restrictions on the program, forcing dispensaries to cater to only three patients and limiting the number of patients that physicians were allowed to certify. The law was signed into law in 2011 and the number of patients dropped from almost 30,000 to less than 9,000. A state judge blocked the most restrictive clauses, but 2016 reared its ugly head, and a Montana Supreme Court judge upheld the law, essentially forcing dispensaries to close and patients to turn to the black market. Not only that, but opponents introduced two other initiatives aimed at further dismantling the cannabis industry in Montana. Luckily, Montana is chock-full of determined pro-cannabis folks who led the charge to the ballot box, and the only initiative that made it on the ballot eventually won out in the election and overturned the 2011 law. 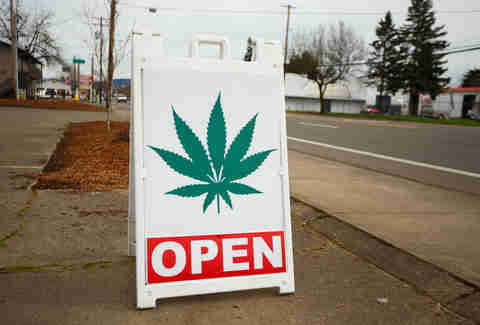 Dispensary doors were allowed to reopen and patients breathed a huge sigh of relief. Nevada's journey to legalization was better organized than many of the above efforts. The state has always been a bit wary of legalizing drugs for obvious reasons (Sin City, anyone? 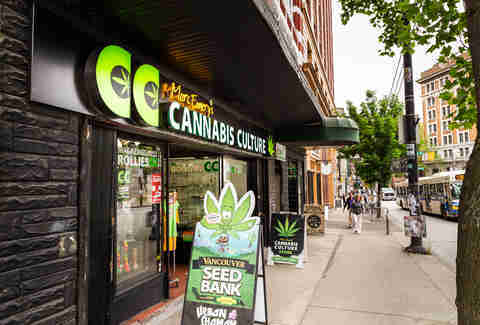 ), but when it organized the medical marijuana dispensary infrastructure, it was already thinking even further ahead to the possibility of legalization. When Question 2 passed, as expected, with 54.5% of the vote, officials were already prepared to jump right into implementation. Not only that, but it appears that the legislation's authors were paying close attention to other states in the process of legalizing; it's comprehensive, with a clear timeline laid out and achievable goals within reach. Nevada has set itself up to make a pretty penny in the cannabis tourism industry, and there will be plenty of people getting ready for a Vegas vacation in the near future. Right up there with Arkansas, North Dakota was on the list of "Last to Legalize" for many speculating industry insiders. Tepid support was found during the last polling on the topic several years ago, with just 47% of North Dakota respondents in favor of medical cannabis legalization, so when North Dakota Compassionate Care emerged with more than 17,600 signatures in favor of the proposed initiative, it took everyone by surprise. Not only did the North Dakota Compassionate Care Act earn a spot on the ballot, it won with a whopping 63.7% in favor, a far cry from the lukewarm 47% who shrugged at medical marijuana in 2014. This marks a huge about-face for the Peace Garden State, and there will surely be some patients that will benefit greatly from it. Australia made headway for the first time in decades after an emotional story turned the tide in favor of medical legalization. Daniel Haslam was suffering from bowel cancer and while undergoing chemotherapy, he struggled with pain, nausea, vomiting, and an endless stream of awful symptoms. A fellow cancer patient suggested cannabis, and he immediately felt relief. Sadly, Haslam lost his battle with cancer, but his mother, Lucy Haslam, took her fight beyond the hospital waiting room. She started a petition to legalize medicinal cannabis that gained international attention, and soon government officials took note. The New South Wales government was the first state to officially conduct clinical trials on cannabis, and the state of Victoria followed suit soon after, embarking on plans for a cannabis cultivation trial. Queensland decriminalized cannabis for medical use later in the year, and the dominoes keep falling. The road to medical marijuana legalization in Australia is just beginning, but it couldn't have happened without the tireless efforts of a mother fighting for the rights of her son. Our friendly neighbors to the north made history by proclaiming that under their newly elected (and supremely dreamy) Prime Minister Justin Trudeau, cannabis would be legalized at a federal level come spring 2017. 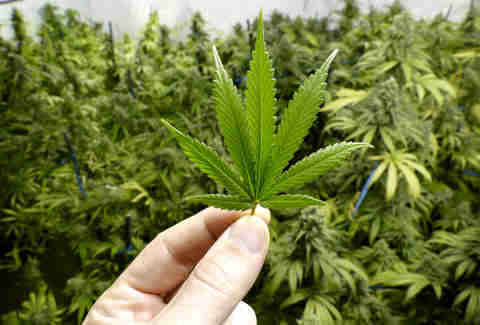 Although the prime minister ran with the campaign promise of legalization, the announcement was made during a speech to the United Nations General Assembly's special session on world drug policy fittingly held on April 20th, 2016. This article was originally published as "These States and Countries Had the Biggest Cannabis Wins in 2016." For this and more articles on cannabis news and culture, visit Leafly News.